In the following pages, we toast American ingenuity by highlighting furniture and accessories designed and fabricated across four regions of the continental United States. Check out products from the Midwest, Northeast, and South here! 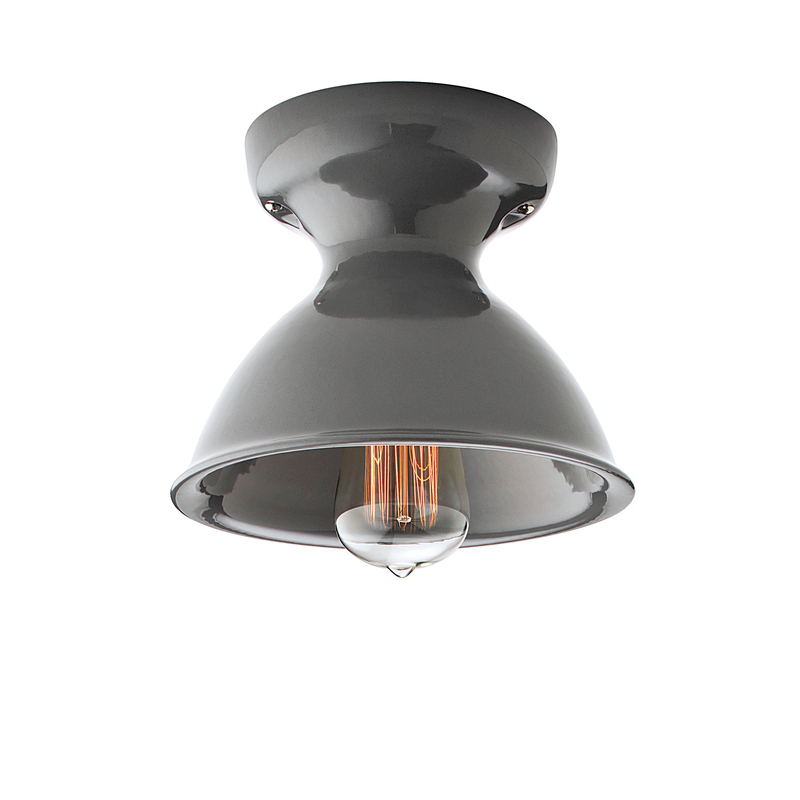 Alabax Large light by Schoolhouse Electric & Supply Co.
$135 A surface-mounted porcelain shade fabricated in Portland, Oregon. $58 These petite porcelain tabletop accessories, also from Portland, were cast from rocks plucked from the Washougal River. $2,800 This curvy powder-coated stainless steel outdoor table, fabricated by Damian Velasquez in Albuquerque, New Mexico, is available in nine vibrant colors. from $80 The Los Angeles ceramics company continues the iconic American Modern line, which sold over 250 million pieces of dinnerware from 1939 to 1959. $13,000 Oregon-based Von Tundra’s unit combines three different storage options—a rack, drawers, and boxes—into a multipurpose dresser. $5,000 Cranbrook graduate Matt Monroe now produces made-to-order furniture in his Los Angeles workshop, like this modern rocker with wool upholstery.